I have always struggled with finding a concealer I like; I have gone through countless products and have never truly been satisfied. 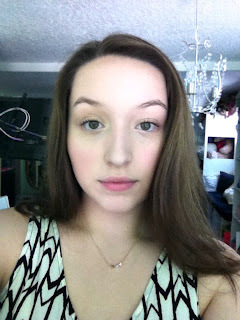 I have pretty bad dark circles, it runs in the family, and creases under my eyes, so it has been a long and brutal (okay, I'm exaggerating, but it has been pretty hard) journey trying to find a concealer that I am satisfied with. 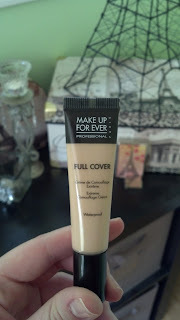 After trying many different products, I decided to ask one of the makeup artists at Sephora for her opinion, and she suggested the Make Up For Ever Full Cover concealer. Yes, it is on the more expensive side (it costs $32), but I have tried everything under the sun, so I decided to splurge a bit. She also said that one tube has lasted her two years, and if I wasn't satisfied I could bring the tube back anytime. I was sold. Now, after using it, I understand how it has lasted her two years! 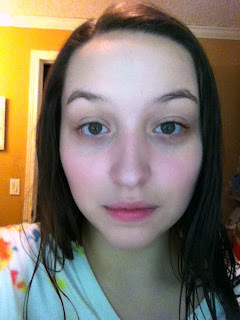 You only need to use a little dot size (I use about the size of a Q-Tip head) to fully cover dark circles. I love that fact because I don't wear a lot of makeup- just some BB cream for protection against the sun and this concealer, so I don't look like a zombie. 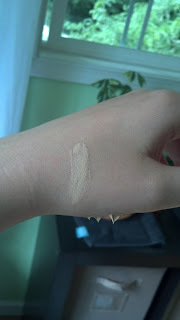 I have it in the lightest shade, and I believe it's called "Pink Porcelain." It does come in a really large range of colors as well. The color I have doesn't have a yellow tinge, which is great for me because yellow-y concealers tend to look terrible on my skin. I have a very pink undertone, so this color is perfect. It also goes on smoothly and blends in really well. As you can see, the concealer really brightens up underneath my eyes. It doesn't cake up and lasts all day; it's really a great product! And sorry I look so mean in the "after" picture, haha it's so hard for me to keep a straight face, so I oftentimes concentrate too hard! 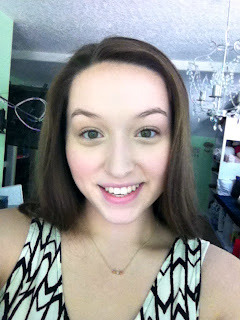 Here is a happier picture (: I just wanted to have a picture with a straight face so you guys could see the comparison. All in all, I love this concealer, and really recommend it, especially if you have struggled with trying to find a great product to cover up underneath your eyes, or any blemishes you might have. 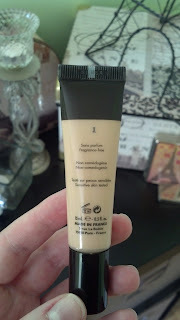 It is my new favorite concealer! Have you ever tried this product? If so, how have you liked it? If not, what is your favorite concealer? This looks really good, I've always used Collection Lasting Perfection Concealer like every other person I'm sure! I've never tried that haha but I think I've heard good things about it! Where do you get it at? Thanks for this post. Love your blog, keep it up! Thanks! (: I'll check yours out! yay!! You finally got it! There's also a drugstore dupe by Physician's Formula if you want to try it! Love your blog! I followed! do you know if they sell this in the states? Yeah I live in the states and got it at Sephora (: I think they're having double points this week as well if you have a Beauty Insider card! Haha I got an email about it but I don't know if it's online only or not. Thanks! (: Yeah, they are so annoying to try and cover up! Haha I wish they just had a miracle cream that completely got rid of them. Wow. I need to try this! I have been using Bobbi Brown for a long time now. Although I love it I need to branch out and try something new. Yeah I've heard great things about Bobbi Brown! Love the review, I really want to try it now! Thanks! Yeah it's a great product! Hi I've nominated you for The Liebster Award! Aw, yeah that's too bad!